Satdeep Grewal is a multi-disciplinary fine artist working in paint, sculpture, mixed media and film. Her work examines the paradoxes underpinning gender binaries, particularly the means by which femininity is transformed through the lens of patriarchy. 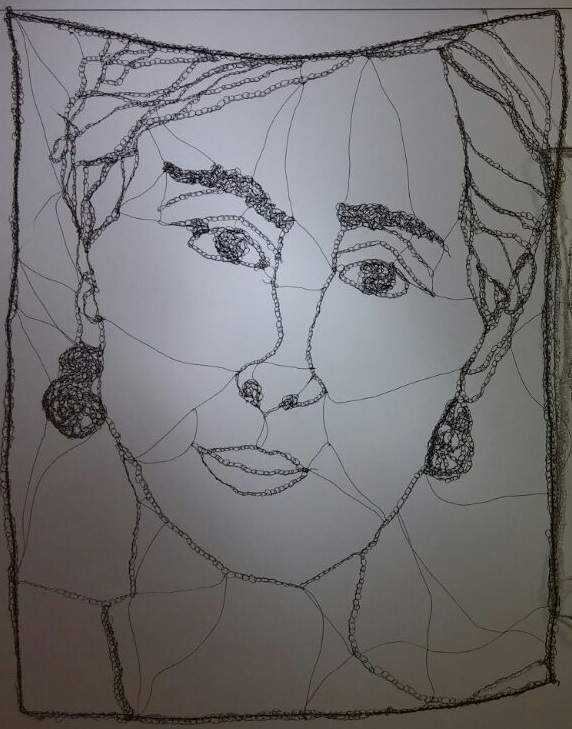 You can find more about Satdeep and her work here. 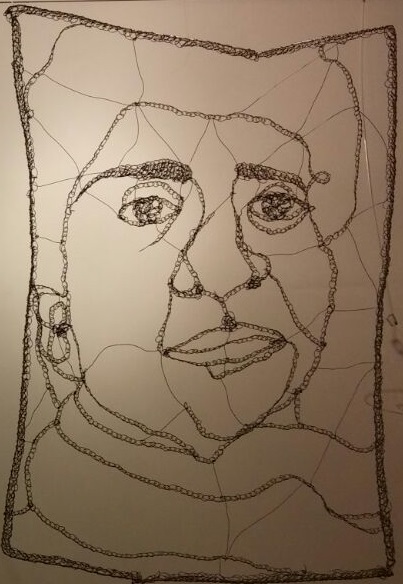 The Women of Steel project arose from my interest in how high profile, powerful and controversial women succeed in the male-dominated arena of politics while being depicted and discussed in the media, and my drive to make these women visible in an artworld that makes them largely invisible. The subjects of Women of Steel all achieved staggering success, despite the fact that they are often explicitly or implicitly undermined through the media’s objectified descriptions of their appearance, gendered criticism of their actions and exaggerations of their emotionality. 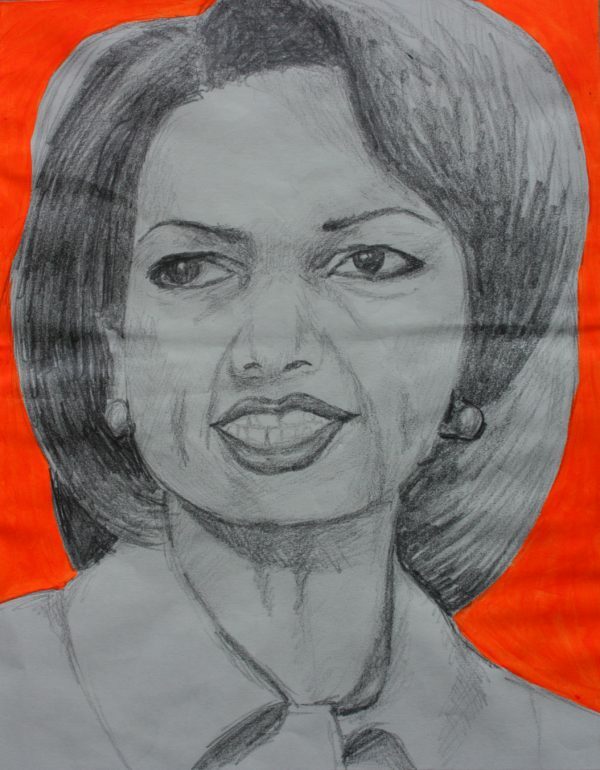 My choice of controversial women comes from my need to balance the facts that regardless of their gender, they committed acts that may have been detrimental to humanity, but that while doing this, they overcame significant barriers primarily in relation to their gender, as well as their race, class and cultural background. Aung San Suu Kyi is one of the world’s most well known political prisoners and activists for the furthering of democracy in Burma. She has received many honours, including the Nobel Peace Prize. In 2016, she became the first female Minister of Foreign Affairs of Myanmar. Mayawati became the youngest Chief Minister of Uttar Pradesh in 1995 and was the first female Dalit Chief Minister in India. 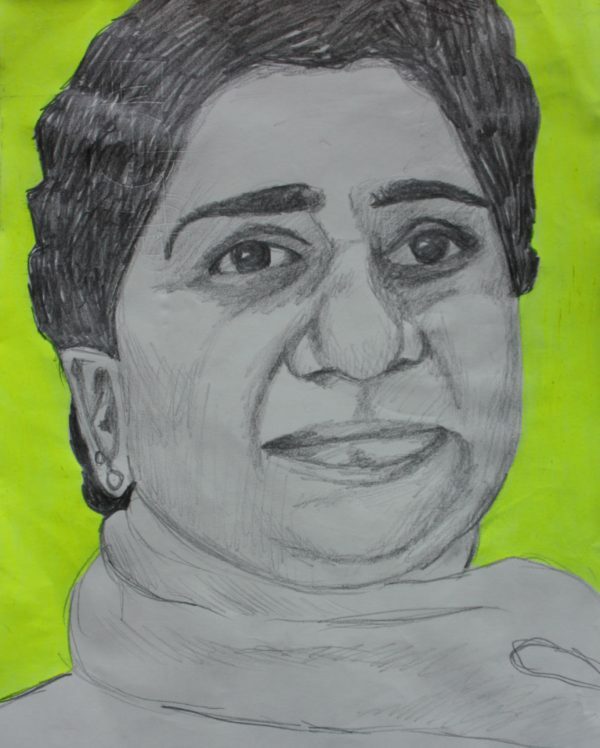 Mayawati was 59th on the Forbes 100 most powerful women in the world in 2008 and was in the India’s 15 Most Influential list as proclaimed by Time Magazine in 2007. Mayawati’s achievements are often overshadowed by controversy including her land acquisition policies which took land from farmers to be reallocated for the poor and for industry. This led to violent protests and an equally violent response from the state. Rice was the first female African-American to become Secretary of State, as well as the second African American to be secretary of state after Colin Powell. She was the second female secretary of state after Madeleine Albright. 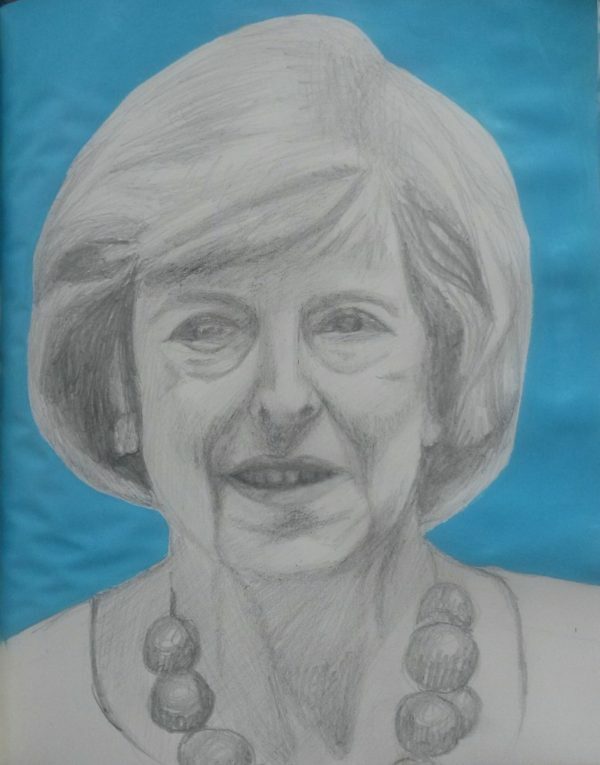 A portrait of British Prime Minister Theresa May is currently in development; May is the second woman to become Prime Minister in British history. May has consistently been assessed on her appearance by the press, and recently, during the Conservative Party leadership race, she was criticized for the fact that she wasn’t a mother, when an opponent proclaimed: ‘She possibly has nieces nephews, lots of people. But I have children who are going to have children who will directly be a part of what happens next‘. May went on to win the race and became Prime Minister. The aims of the installations are to capture the paradox of these women’s amazing achievements against how the world depicts them. 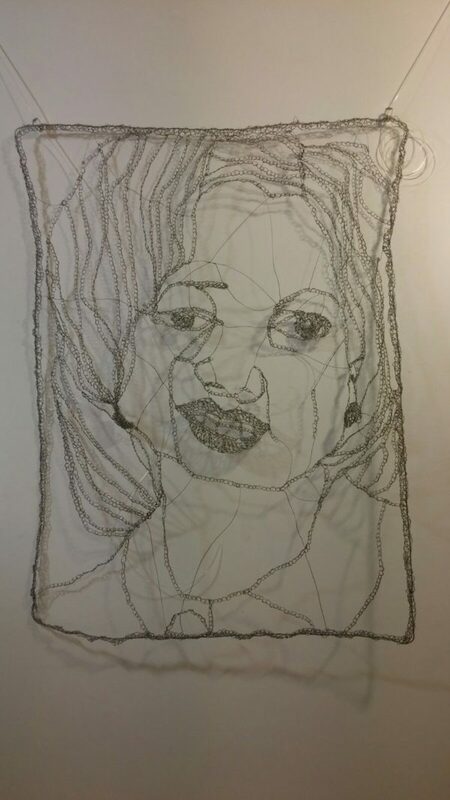 The tough and durable steel wire signifies the strength these women clearly possess, having overcome astonishing barriers and having faced appalling criticism, while the technique of crocheting, typically perceived as a more feminine technique, reminds us of the femininity that is intertwined with that strength. The light, shadow and complex lines depict the nature of the actions these women have taken over the course of their political careers. I felt a duty to create these works, in order to fill a vacuum of silence and invisibility that is created in the artworld for women who achieve great things, even if some of what they do may be questionable. In making the installations I felt I was doing something important, and it made me view the women I chose to depict in a more humane and compassionate light, despite the fact that I found much of what they did to be abominable.